95911 was successfully added to your cart! 95911 could not be added as a favorite. Please make sure you are logged in. 360 degree LED amber warning light with a selection of 7 flash patterns. 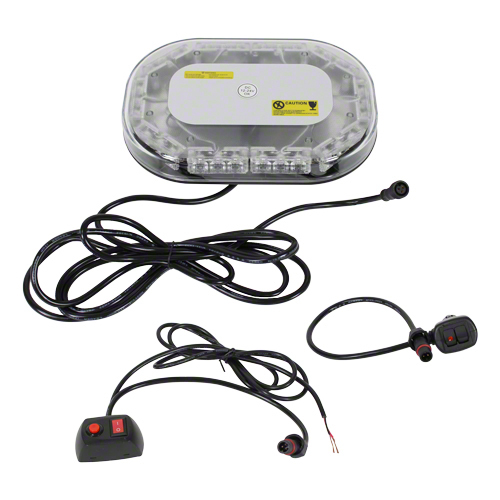 Comes with 9 ft. long adapter cord attached to light, 4-1/2 ft. permanent mount adapter cord, and 12v cigarette lighter power adapter. Light also has a rubberized magnetic base for easy portability. 9.75" L x 6.75" W x 1.75" H.
Click here to view light patterns.